It would be nice if moving out of your apartment was as simple as handing over the key to your landlord at a moment’s notice. Although moving out it not complicated, there are still certain steps you must take when you want to leave a rental. Here is the proper way to tell your landlord you are moving out. To move out of your apartment, you must give your landlord advance notice. The amount of notice you must give will depend on the term of your lease. In general, the longer your lease term, the more notice you must give. Yearly Leases: If you have signed a yearly lease with your landlord, you have agreed to live in the unit for the entire lease term. However, when the lease nears the end, you have the right to move out. It is generally accepted that you must give your landlord at least 30 days’ notice prior to the date of lease termination. For example, if your lease ends on December 31, you should notify your landlord of your desire to move by December 1, at the latest. Month to Month Agreements: For month to month agreements, it is generally accepted that you should notify your landlord at least 30 days in advance of your desire to move. For example, if your lease ends on September 30, then you should let your landlord know you want to move by September 1, at the latest. Week to Week Agreements: If you have signed a weekly agreement to rent a unit, you generally have to notify the landlord of your desire to move at least 7 days in advance of the move date. For example, if the weekly lease ends on the 13th, you should notify the landlord of your desire to move by the 6th of that month. Check Your State Laws and the Lease Term: You should always check your state’s landlord-tenant law, as well as the lease renewal or termination clause in the actual lease you have signed with your landlord, to determine if there are different requirements that may apply to you. You must give your landlord written notice of your desire to move out. It is in your best interest to mail this notice via certified mail with a return receipt as proof that your landlord received this notice. You could decide instead to give this written notice to your landlord at the same time as you pay your monthly rent. Once you have notified your landlord of your desire to move out of your apartment, you should be aware that your landlord has the right to show the unit to prospective tenants in order to fill the impending vacancy. The landlord must give proper notice to show the unit, which is at least 24 hours’ advance notice but can be up to 48 hours’ notice in certain states. To have the best chance of getting your full security deposit returned, you will want to make sure the unit is in the same condition it was in when you first moved in. Make sure kitchens and baths are clean and the other rooms in the apartment have been broom swept. If your landlord has allowed you to change any paint colors, make sure to restore the apartment to the original paint color unless your landlord does not require you to change it back. Your state may require your landlord to walk through the property with you prior to move out to look for any signs of damage in excess of normal wear and tear. Landlords in states such as Arizona and California must perform walk-through inspections. The landlord will let you know if he or she sees any damage that could lead to deductions in your security deposit. The landlord may give you the option of fixing these damages prior to move out so that you can receive your entire security deposit back. 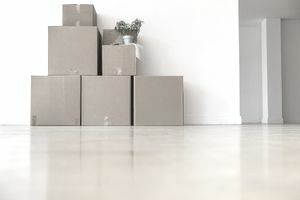 After you have moved out, the landlord will send the security deposit amount that is owed to you to the forwarding address you have provided. Most states give landlords at least 30 days after a tenant moves out to return the deposit. If you do not give the landlord proper notice before moving out of the unit, you may be responsible for paying rent for the entire term of the agreement. For example, if you have a month to month lease and you only give your landlord notice 15 days before the date you want to move out, you will most likely still have to pay rent for the entire month, not just for the 15 days of the month you will live in the unit.